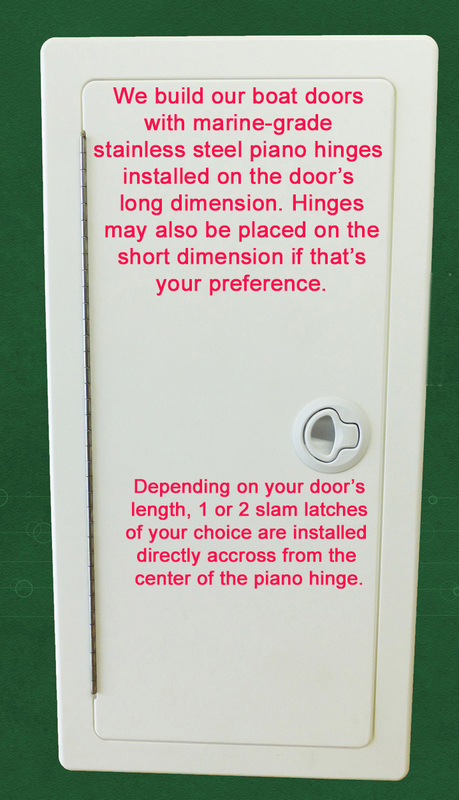 Hinge installed on long dimension -- Std. White Or Black Southco Slam Latch Included In Base Price -- No extra charge -- Plus Stainless Steel Latch Options. Stainless Steel Piano Hinge Standard. These hinges are installed on the long dimension, unless you specify otherwise. 1/2" Thick Door Panel & Frame. Fabricating both the door panel and frame from 1/2" thick King Starboard lowers the door's overall material cost, versus using 3/4" thick material for the frame. And we pass the savings directly on to you. Our CNC machine precisely mills both pieces so that the door panel nests securely within the frame. The edges of each component overlap by .25", so the completed door is just `1/2" high. 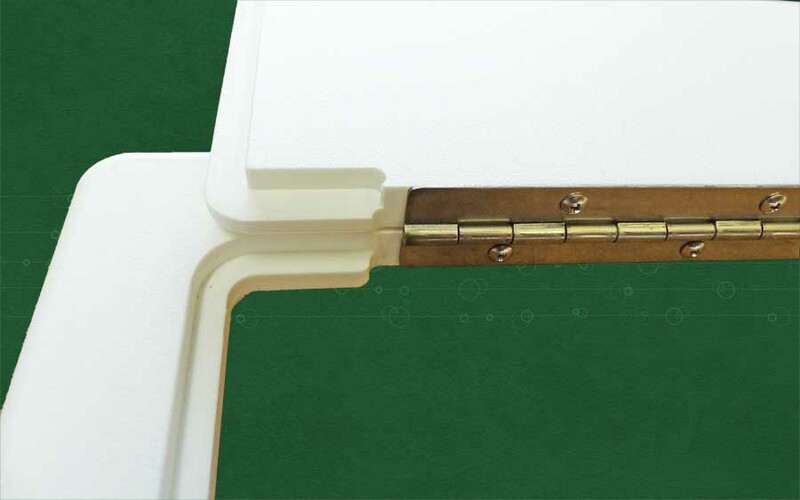 White Southco Latch -- No Extra Cost -- This white Southco non-locking polylcarbonate latch is a standard option on our boat doors. It's handsome, tough, and designed for the marine environment.